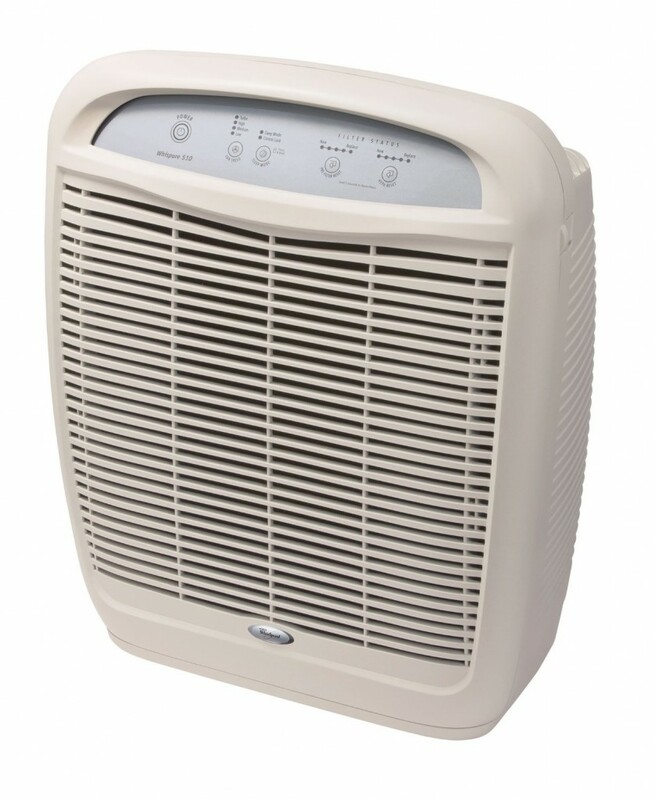 The Whirlpool Whispure AP51030K is a great match for people looking to eliminate allergens and other small particulates in small and medium-sized rooms. This device also offers great value for the price and is one of the best-selling units on the market. But the AP51030K is much less effective against odors; if you’re looking for a purifier to deal with smoke or chemical smells, look elsewhere. Brand names are important to people – consumers, naturally, feel more comfortable putting their money with a company they trust. Whirlpool is one of the biggest and oldest brand names in the air purifier market, and that usually gives an extra boost to the company’s purifiers. That’s exactly why I lead every Whirlpool air purifier review with a note: Whirlpool air purifiers are not manufactured by the Whirlpool Corporation. Let me quickly explain the situation and why it matters. I’m not sure exactly when it happened, but at some point in the last decade Whirlpool licensed out their purifier “brand” to a China-based manufacturer called Master Brands HK Limited. Master Brands, therefore, is actually the company making these purifiers; it manufactures them and releases them under the Whirlpool name. Is this a good thing, or a bad thing? 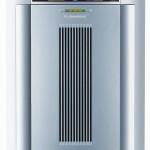 I’m of the opinion that it’s largely a neutral thing – Whirlpool air purifiers still deliver strong performance and great value – but consumers should know about the licensing situation nonetheless. Here’s the downside to the situation: purifiers that are made in China, statistically, are more likely to come with defects because the device’s go through fewer quality control hoops. I do, however, think the quality issues are overblown; it’s still unlikely you’ll receive a defect-laden product. But if you do, the device has a 5-year warranty, and you should be able to get a defect-free purifier in short order. With all that said, let’s move on to talking about the Whirlpool Whispure AP51030K specifically. The Whirlpool Whispure AP51030K, despite any manufacturing concerns, is a well-performing purifier that offers strong value for the price. Whatever the true numbers are, the device’s strengths and weaknesses are clear: it works very well against allergens but is less effective against odors. 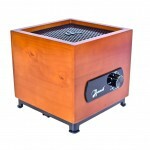 The device struggles against strong odors because it doesn’t utilize charcoal much during its filtration process. The pre-filter has a charcoal element, and that will usually deal with light odors and smells just fine. But if you are looking to get rid of some heavy duty smells (kitchen cleaner smells; smoke-room smells) then this purifier isn’t going to cut it. The manufacturer lists the unit’s coverage area at 500 square feet; the AP51030K does have a very strong fan and pretty good range, but I still think 500 square feet is a bit optimistic. In reality, this device is built perfectly for small or medium-sized rooms – if I had to pin down an optimal coverage area, I’d say between 350 and 450 square feet. Sure, you can stretch it out to a 500 square foot room. The purifier won’t explode, but it won’t be as effective, either. This purifier’s design falls a bit short – the “white” model looks out-dated and bland, and the “black” version is only marginally better – but the design doesn’t impede the device’s functionality, and that’s what really matters. As far as noise, the jury is still out – and this is where the China-based manufacturing situation comes into play. Different consumers are saying different things about the AP51030K’s noise levels. Some devices are reported to be extremely quiet, and some devices are likely to be a bit louder. Again, the lack of quality control comes into play here; not every unit is held to the same standards or made in the exact same way by the manufacturer. Overall, this device is a fairly quiet one – and it has a “sleep” mode, which is whisper-quiet by all accounts. But if you’re going to be running this unit on full-blast, it might be hard to watch TV or sleep in the same room. The Whirlpool Whispure AP51030K is a great match for people looking to eliminate allergens and other small particulates in small and medium-sized rooms. This device also offers great value for the price and is one of the best-selling units on the market. But the AP51030K is much less effective against odors; if you’re looking for a purifier to deal with smoke or chemical smells, look elsewhere.